Architecture can be analogous to a history, a fiction, and a landscape. We expect a history or a novel to be written in words, but they can also be cast in concrete or seeded in soil. The catalyst to this tradition was the simultaneous and interdependent emergence in the eighteenth century of new art forms: the picturesque landscape, the analytical history, and the English novel. Each of them instigated a creative and questioning response to empiricism’s detailed investigation of subjective experience and the natural world, and together they stimulated a design practice and lyrical environmentalism that profoundly influenced subsequent centuries. Associating the changing natural world with journeys in self-understanding, and the design process with a visual and spatial autobiography, this book describes journeys between London and the North Sea in successive centuries, analysing an enduring and evolving tradition from the picturesque and romanticism to modernism. Creative architects have often looked to the past to understand the present and imagine the future. Twenty-first-century architects need to appreciate the shock of the old as well as the shock of the new. 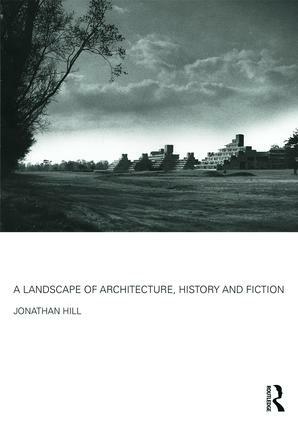 Jonathan Hill is Professor of Architecture and Visual Theory at the Bartlett School of Architecture, University College London (UCL), UK, where he directs the MPhil/PhD Architectural Design programme. Jonathan is the author of The Illegal Architect (1998), Actions of Architecture (2003), Immaterial Architecture (2006) and Weather Architecture (2012); editor of Occupying Architecture (1998) and Architecture—the Subject is Matter (2001); and co-editor of Critical Architecture (2007).